Seedlip Grove 42. Credit: PRNewsfoto/Seedlip. UK-based spirits producer Seedlip is set to expand its non-alcoholic spirits portfolio with the launch of Grove 42 to the US market. Grove 42 is a citrus blend of copper-pot distillates, including bitter orange, mandarin, blood orange, lemongrass, sansho peppercorn, ginger and lemon. In 2015, Seedlip launched one of the world’s first non-alcoholic spirits, meeting the needs of consumers that wanted a new considered approach to drinking. The company claims that its new spirit delivers a bright year-round flavour profile with orange zest, mandarin, juicy blood orange undertones, and an uplifting spice character from lemongrass and ginger. Grove 42 will be available for purchase in a 24oz format on seedlipdrinks-us.com for $36. The company’s latest launch follows a string of innovation from Seedlip, including the dark Seedlip Spirit, an inclusive global bar concept, and the NOgroni spirit, which is made with 22 different ingredients. 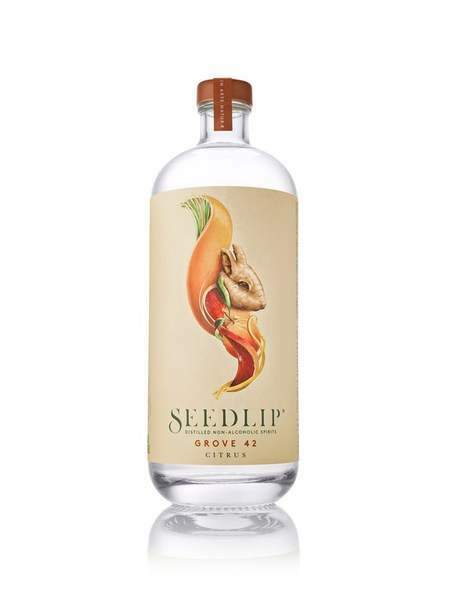 Seedlip offers an alternative to overly sweet or fruity options, and is served at cocktail bars, hotels, restaurants and retailers across cities such as Los Angeles, San Francisco, New York, London, Barcelona, and Stockholm.